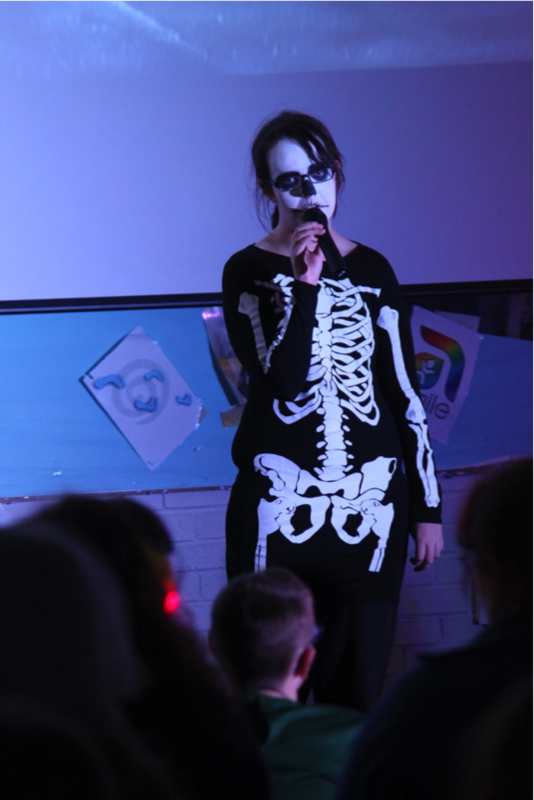 On Halloween, we had a frighteningly fantastic celebration event. Students and staff dressed up as their favourite creepy characters and enjoyed a scary selection of activities. Mrs Lawton’s class held a Halloween party, with games, apple bobbing and some freaky food. Mrs Slimmings created a devilish dining experience in the coffee shop offering strange sweets and a slimy snot cocktail! 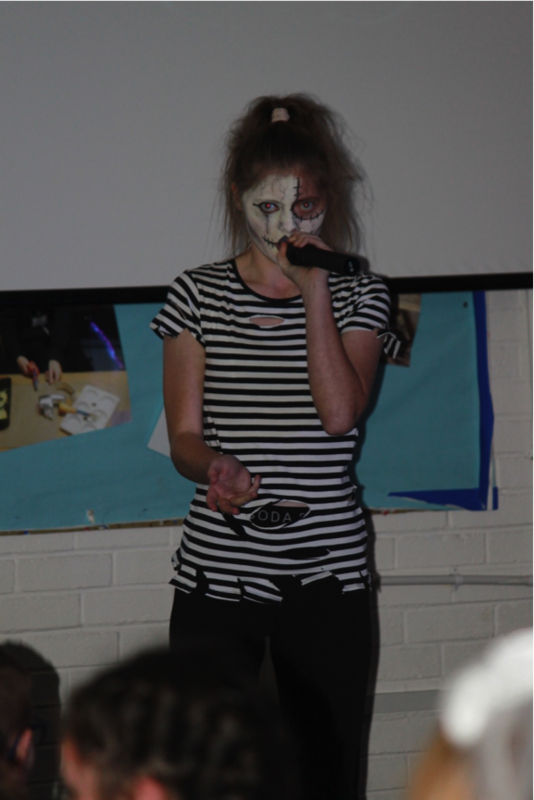 The afternoon saw Mr Kitson’s 6th form Performing Arts group perform in a spookily spectacular concert in the school hall, singing lots of Halloween themed songs and a brilliant dance rendition of Thriller by Michael Jackson. A big thank you to all the staff and students who helped to organise the event, a round of applause to our singers and a big well done to everyone for not getting too scared!